To Dr. Dina, Mickey Martin was more than just a pioneer of the cannabis industry, he was a close friend who will be forever missed. The cannabis community recently lost an important activist and Dr. Dina lost a close friend. Mickey Martin pioneered the edibles market long before dispensaries carried the wide variety of THC treats they do today. He didn’t just open but smashed down the doors preventing medical cannabis consumption in California and made alternative forms of cannabis available for patients in need. After devoting his life to the movement, it’s time for his community to give back and aid his family in coping with this unexpected loss. He’s described as a lovable, loud, jovial, young Santa Claus, with the mouth of a truck driver. If you’ve been part of the cannabis scene for any amount of time, chances are the name Mickey Martin has come up more than once. He began his legacy with Tainted Inc., one of the first cannabis companies to brand and market their products with creative packaging. Tainted Inc. produced edibles and distributed them to dispensaries all over California. While the production and distribution might not have been legal at the time, Mickey knew consumers needed options other than flowers. Dr. Dina met Mickey in 2003, as her dispensary was gaining popularity. At the time, Mickey and his old partner, Kerry, were creating all the edibles themselves and driving the deliveries to shops in his area. When Dr. Dina began selling out faster than he could restock, Mickey installed a freezer in her dispensary to ensure she had products on hand. Mickey went on to publish Medical Marijuana 101 and Mickey Martin Consulting Director, guides to the emerging cannabis world. He founded a school, the Northeastern Institute of Cannabis, where interested individuals could receive hands-on education working with cannabis. Mickey also opened a cannabis consulting firm, helping other activists understand California’s complex medical cannabis laws and how to work within the legal perimeters. Aside from his hard work as an educator, he was also a no-nonsense whistleblower, ensuring everyone knew about sketchy dispensaries or businesses. As the cannabis market continued to unfold, he shamelessly blasted companies that tried to take advantage of customers or unfortunate situations, inevitably saving people money and frustration. One of Mickey’s greatest accomplishments was founding the organization Parents 4 Pot. As a parent and cannabis crusader, Mickey was terrified with the idea that his children could be taken away because of the work he was doing. Parents 4 Pot strives to tear down stigmas surrounding cannabis use. They help and support parents who choose to treat their children with medical cannabis, rather than harsh prescription drugs, and work to educate about the responsible use of cannabis. As a parent, Dr. Dina says Mickey’s most sickening thought was what would happen to his children on Christmas morning if he wasn’t there. To ensure other children didn’t go without, Mickey organized the delivery of dozens of Christmas gifts to children whose parents were incarcerated on cannabis charges. He’d collect donations all year long from individuals and businesses across the cannabis community, all to ensure no child went without a present because their parent was unjustly criminalized. Dr. Dina loved choosing the gifts herself and nothing made her happier than handing them over to Mickey, who quickly reminded her that buying the gifts wasn’t enough, as there was always more to do. 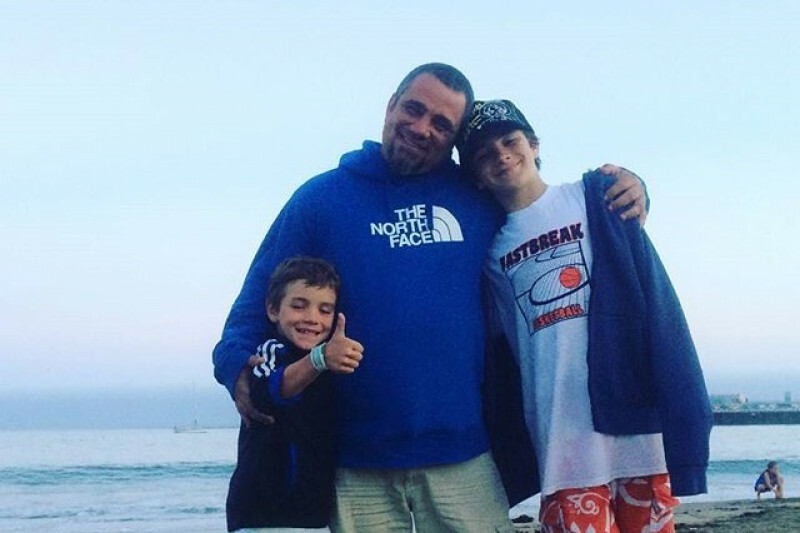 He wanted each child to know their parent was a hero for supporting the cannabis movement and ensured they were told that with each gift he passed out. Mickey’s death was unexpected, unplanned for and unbelievably tragic. He was the sole provider for his wife and two young boys. To help with hardships that await the grieving family, friends, and supporters of Mickey Martin have set up a GoFundMe page. As the cannabis community mourns the loss of this great man, Dr. Dina remembers the spirit in which Mickey Martin lived. His true calling was to influence people and cause change, just give the guy a bullhorn. For me, my job was all about helping the patients, but he would get on me and ask why I wasn’t going to the rallies or gatherings.